It was May 15th, 2014. 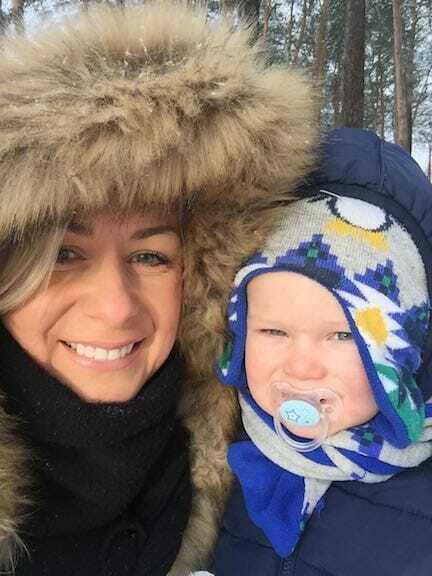 Five months pregnant, my wife was diagnosed with PE (Pulmonary Embolism). PE = “clotting of the lungs”. Ten days earlier she was told the reason for her pain was just “muscular” from more than ONE doctor over multiple visits. She “refused” to believe that muscle pain can result in her inability to lift her arms – worsening by the day. I had to dress her in the morning and take over all the household chores. We suspect you have clotting on your lungs, called a Pulmonary Embolism … to be 100% sure, we need to do a CT scan of your chest. We were informed about the dangers this could mean to our unborn baby, and then faced a “devastating” decision. After 3 hours of sobbing in each others arms, we had no choice but to go ahead with the scan. We were told, if it was left for another few days, things could have been fatal. Luckily, my wife refused to believe the doctor’s initial diagnosis and that decision, ultimately, saved her life. Having accepted treatment for PE … I’m thrilled to say she came out the other end just fine. How she managed to get through her pregnancy back then, though, is a “miracle” in itself. But, back in the hospital when we received news of her diagnosis, something changed in me that gave me EXTREME “determination”. We were NOT going to be defeated by this. …to get her well again, no matter what. …to be a loving father and husband, whatever happens. …and, to provide a better life for us all. At the time, I didn’t think that “determination” would result in HUGE changes in my publishing business. Two months later, however, on July 24th, I launched a software product for self-published authors called KDSPY … and slowly developed the ‘5 Minute Publishing’ brand (now re-branded to Publishing Altitude) and product line. Initially, KDSPY was created to help streamline and expand my own self-publishing business. When I realised just how powerful it was, I decided to let others benefit and sold it for a one-time fee. Now, as I write this, my wife has the all clear. My son is perfect in every way. KDSPY has over 10,600 users. And, my business continues to grow. In 2016, we hit over £1/4m in sales – around $352,401. Now I didn’t get to keep all that, unfortunately. Around 50% was paid to affiliates and other business expenses. But, that same year, I quit my city job as an SEO consultant to focus 100% on my publishing business. It was November 21st, 2013. After hearing about the popularity of Kindle books – that surpassed physical book sales on Amazon in 2011 – and the success of many self-published authors utilising Amazon – I decided to get a piece of the pie. 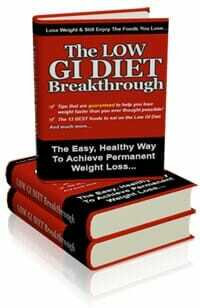 It sold well on Clickbank for many years, until the popularity of GI (The Glycemic Index) started to fall. The combination of a drop in popularity and the rising costs of PPC traffic from Google Adwords reduced a $40k year income stream down to peanuts. So, I decided to sign up to Amazon KDP and list it there to see how it performed. I got a new cover created on Upwork… … changed the title and hook … and listed it on a FREE promotion for 2 days to get traction in the Amazon algorithm before I switched it to a paid book – a little trick I’d learned beforehand from someone smarter than me. That decision, ultimately, would go on to change mine and my family’s life. The next day, I reached the #5 book on Amazon in their FREE listings. A few days later – after the promotion was over – I was shocked at the results and sent this tweet. Back then I had no clue what to expect. But, clearly, Amazon saw how popular the book was when it received 15k downloads as a FREE book, so it made sense that when it switched to a PAID book … their algorithm gave it prominent exposure all over their website. 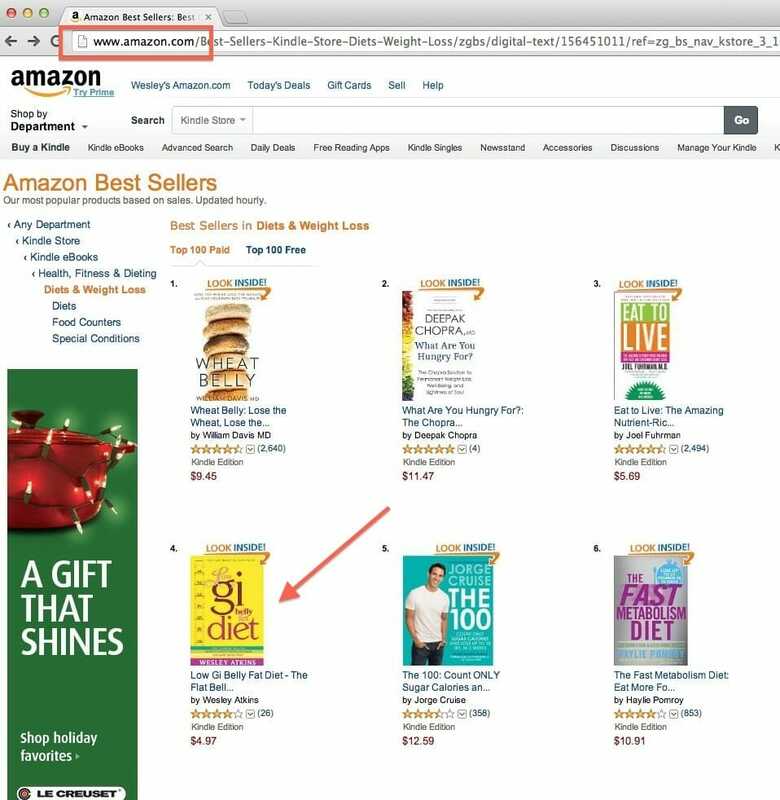 I was rubbing shoulders with some of the biggest weight loss names in the world. That’s over $1,000.00 per month from a single book. That was all the proof of concept I needed that Amazon Kindle was a platform worth investing “time” into. I spent the next four months devouring every course and training I could get my hands on from people who were making 6 and 7-figures from Amazon Publishing. 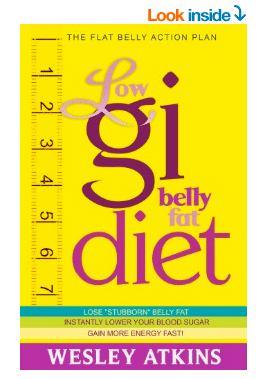 Armed with what felt like a Publishing MBA, I had a book ghostwritten for me from an expert on the “Paleo Diet”. All in, with the cover and contents, I spent around $410.00. … so I listed it under a pen-name – something that is widely accepted and adopted, anyway. Deep down, I guess I wanted to convince myself that the first book was not a fluke … and that I could make this whole 4-month educational journey “pay off”. This time, I did a 1-day FREE promotion before it switched to a PAID book. Yep, it pulled in $497.28 the very next day. I was $87.24 in profit in 24 hours, and now had an “asset” that would continue to build an email list and provide a profit to my business every month with no additional effort needed on my part. Why did I choose Paleo as a topic for the book? The most time consuming – and critical – part of creating a book is knowing what your audience wants, and what they will pay for. I didn’t want to pay an expert to write a book if it was going to be a “dud”. So, KDSPY was created to cut my research time down by a factor of x10 and literally “pinpoint” where the money is flowing in any niche market – and that’s exactly what it did. The software was becoming so popular, and my customers wanted “more”. More help, guidance … and training to build a profitable publishing business. So, I started putting everything I learned into a bunch of online digital training courses. And even launched another software product to help authors on the marketing side of things. As a business, we passed 12k total customers in January 2017. A wild ride, to say the least. 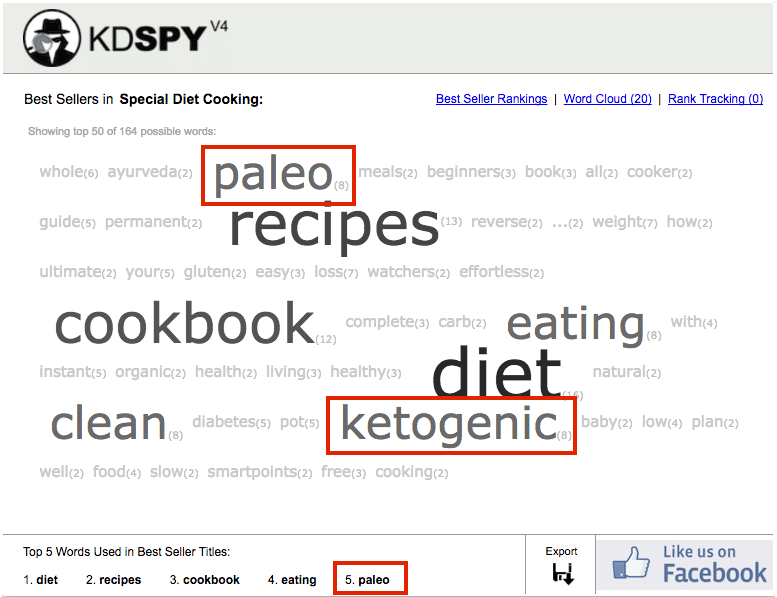 Since then, KDSPY has become the #1 best-selling niche research tool for books – closing in on 11,000 users. And – “still” almost 3 years later – a top 30 seller on JVZoo out of 56,800 products. So, what about today in 2018? Well, I still publish books. I currently have 32 titles on Kindle (most under pen-names) … but, the majority of my time and focus is now on helping others on their self-publishing journey. The popularity of my software(s) and having a total of over 12,200 customers – as a sole business owner – keeps me pretty busy. But, I love it, and wouldn’t have it any other way. After KDSPY came KDROI, and the 5 Minute Publishing brand of online digital training products for self-published authors. On 21st February 2017, however, I rebranded our main site to Publishing Altitude.